Read about their experience with Beazer and what they love about their new home. We were not going to settle – we wanted something amazing. At first we looked at existing homes, but then quickly decided building a home would be a better option. I think if you keep coming back to something, after three or four times, you know it’s what you want. It’s so wonderful to have an open floor plan, one that includes the kitchen, living room and dining room as common space. There was something about this particular community that left an impression on me that I could not forget. It feels incredible to be a homeowner! From new homes that save you money to personalized design choices, mortgage options and peace of mind. Select an Area * Atlanta Calabash Central Valley Charleston Columbus Dallas Delaware Beaches Houston Indianapolis Las Vegas Maryland / D.C. Myrtle Beach Nashville Orlando Phoenix Raleigh-Durham Sacramento Savannah Southern California Tampa Virginia / D.C. I would like to recognize pretty much everybody. Everyone was really helpful. Overall I was very satisfied with the home and the customer service I would highly recommend it. I liked the choices in the layouts of each model, the look of the homes, and that it is a smaller community. The homes offered the best of everything. I like the style of homes, the surrounding trees that make one feel as if they are in the country. It looks like it will be very walkable and people friendly. GuildQuality is an independent, third-party company that sends satisfaction surveys, on Beazer's behalf, at key stages through the customer journey. We rely on that customer feedback to help us measure our customers' satisfaction and ensure we are meeting our commitment to our customers every step of the way. An A+ rating with the BBB means we're adhering to the BBB's strict code of conduct and living up to the customers' expectations. 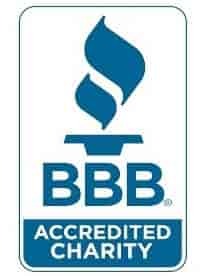 Click here for more information on BBB accreditation.